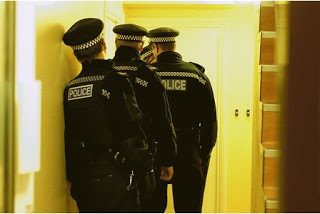 Ever have the police knocking at your door? Pretty scary, innocent of any crime or not. Everyone needs to be prepared for this situation, should it happen at your home. You have an obligation to understand your rights and make informed decisions when dealing with the law. The best criminal defense attorney will tell you not to argue your rights, just be polite and refuse entry. Thus, you do not have to even respond. Don’t even open your door if you are not comfortable talking to them. Without a warrant, they can not come in. In your own home, you are entitled to privacy, period. The Supreme Court ruled that even if law enforcement has probable cause to believe that something illegal is going on inside your home, they may NOT enter without a search warrant signed by a judge. Sometimes, police will lie to you. They are allowed to, occasionally. An example would be that they say someone has confessed or that they have a witness or other evidence against you that you do not have. Do not be manipulated. If you decide to let them in because you have “nothing to hide”, be prepared because many things can go downhill once they have been “welcomed in” by you. What they see, can be used against you at some point. Things get twisted easily. If you are comfortable speaking with them – do it outside, but close your door. If police even see anything through an opened door, he can call it “discovery of evidence”. Please note; the only time law enforcement does not need to know and announce is if they are pursuing a suspect, reasonably believe that someone is inside being harmed or they have reason to believe that if they announce they are there it will put them in danger.